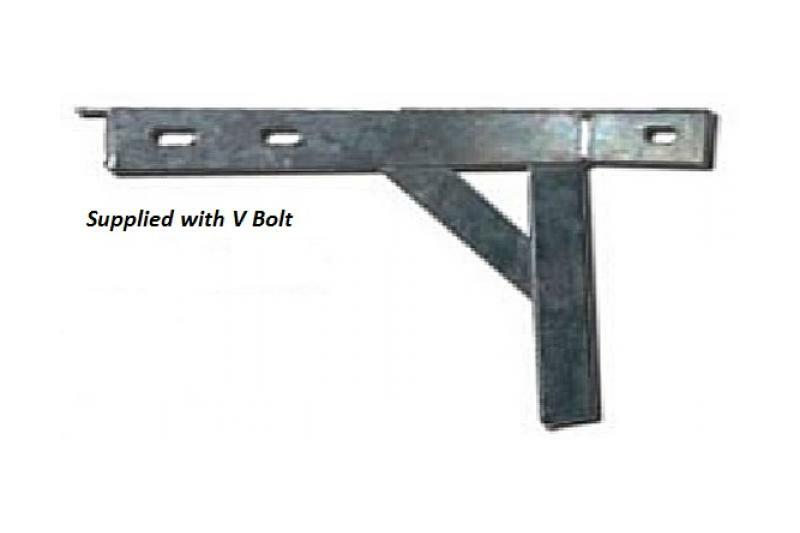 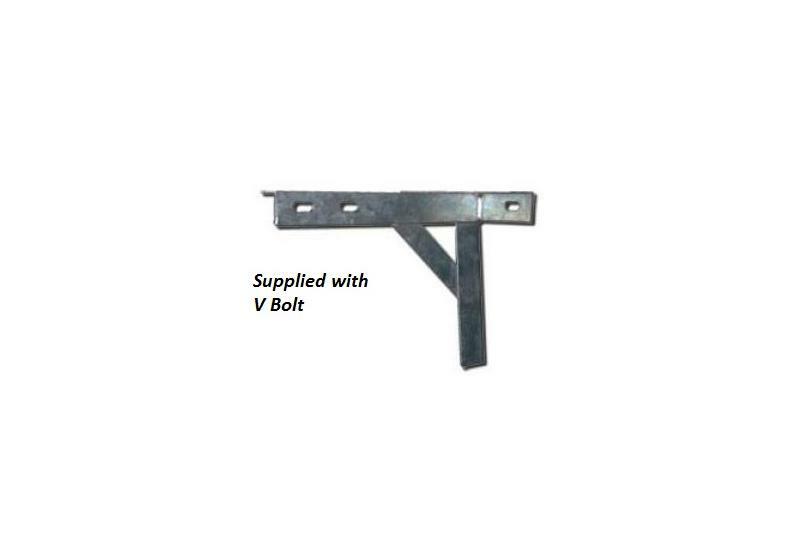 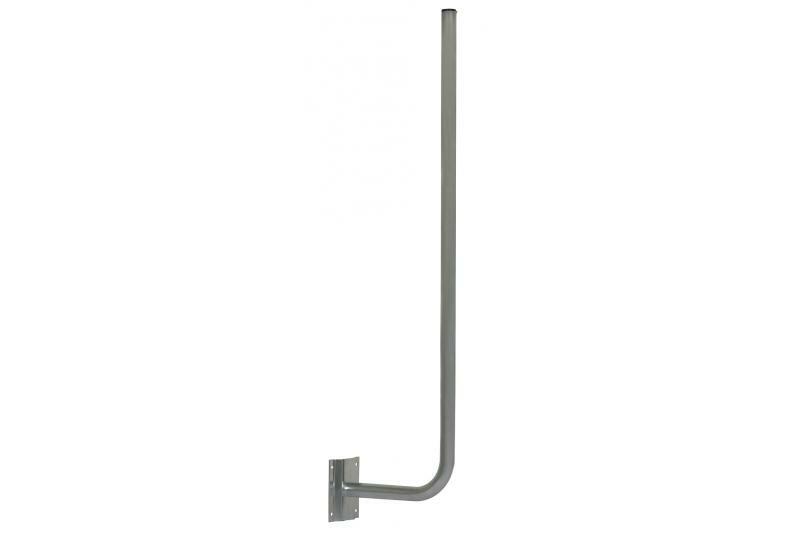 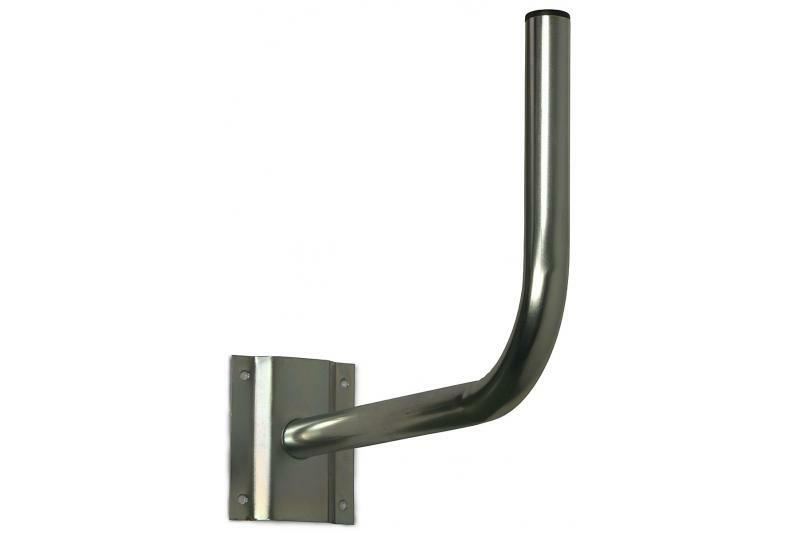 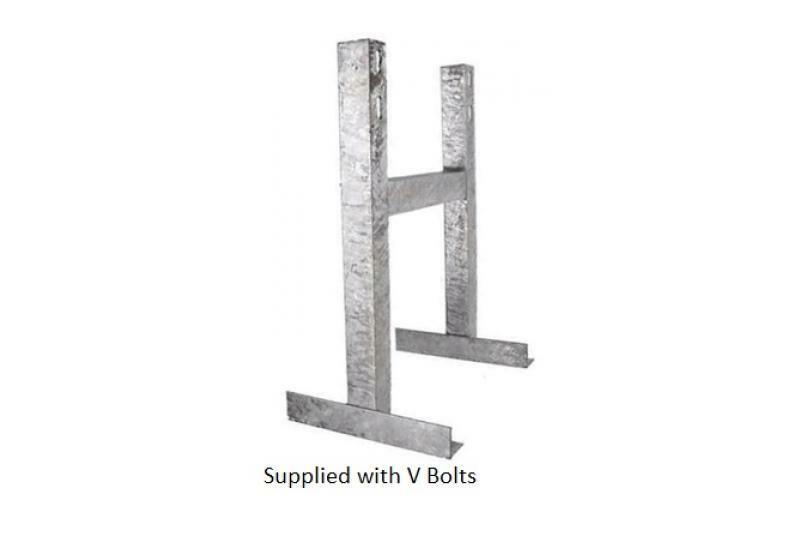 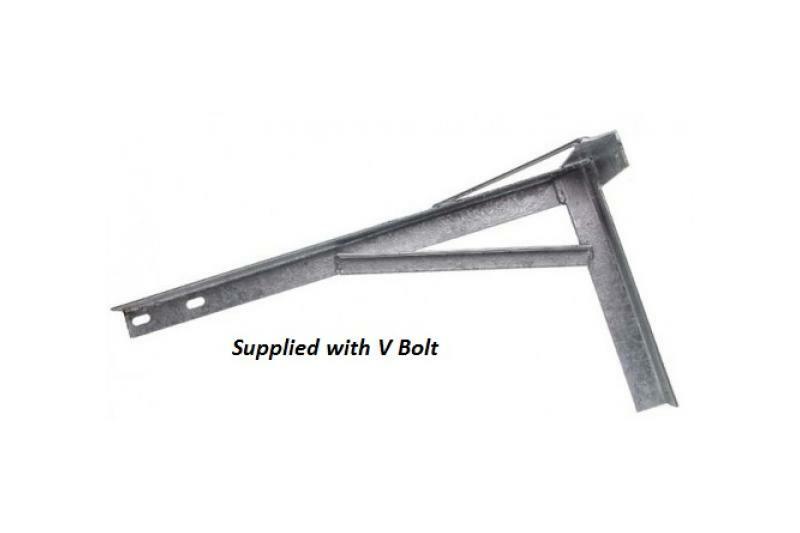 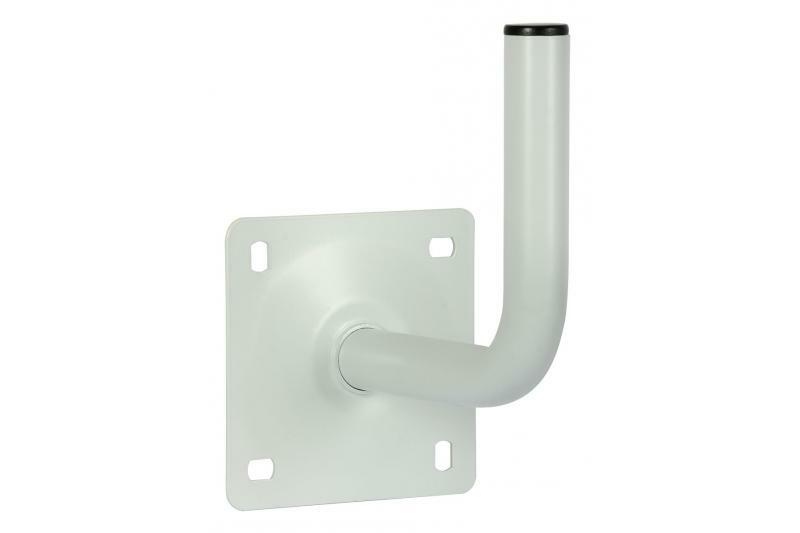 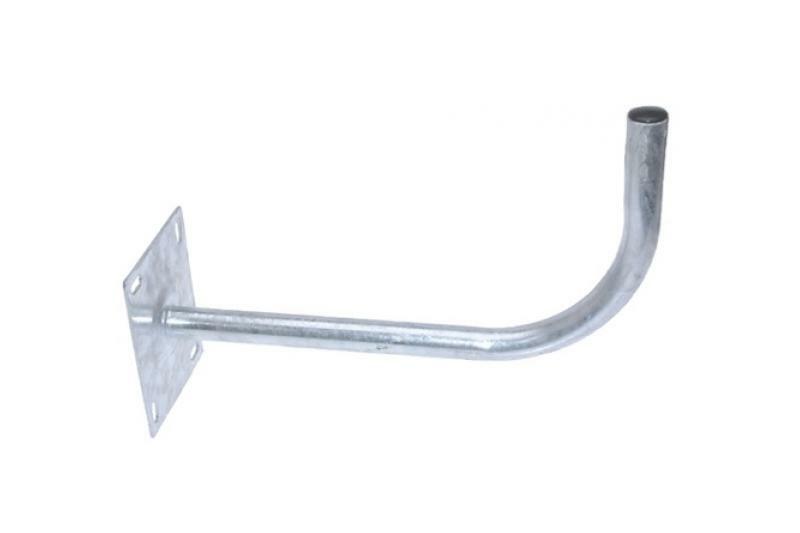 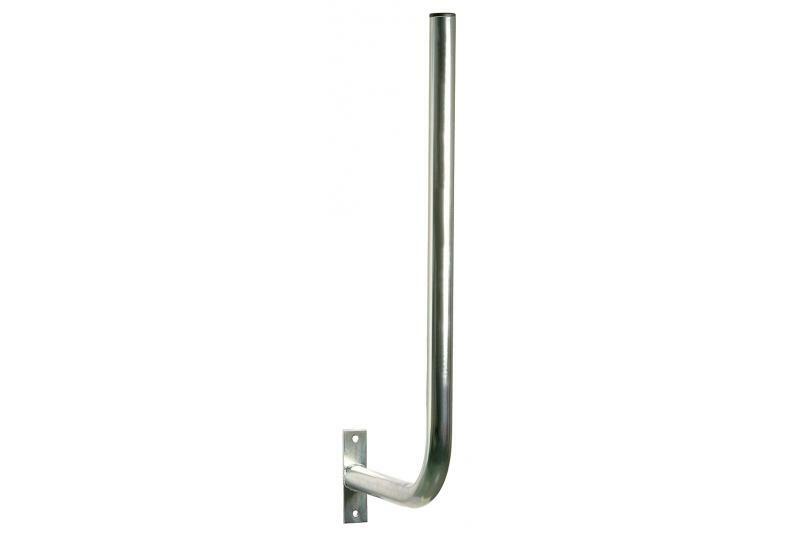 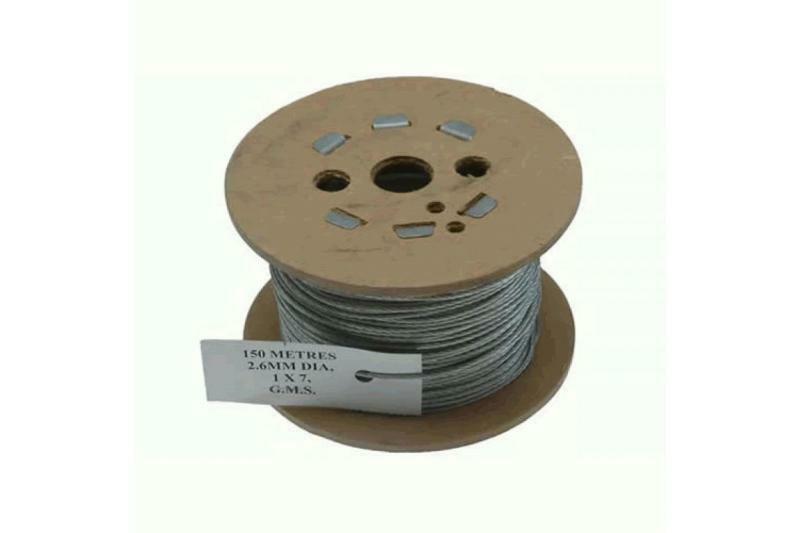 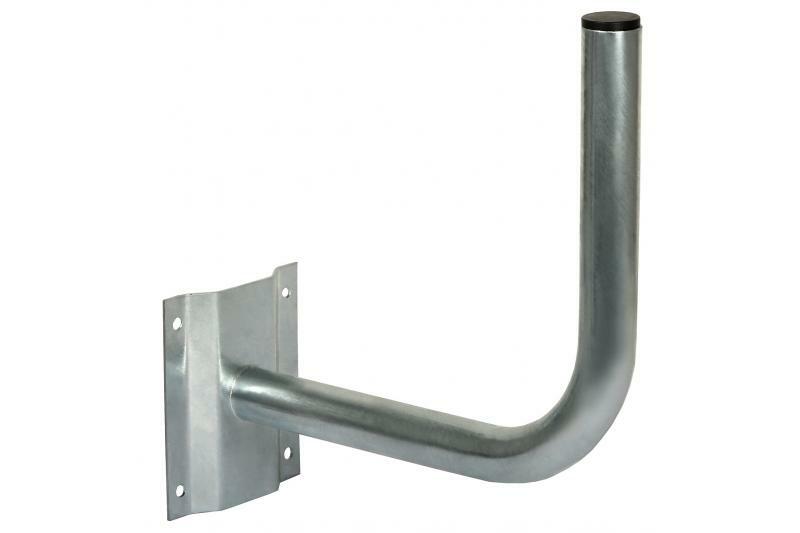 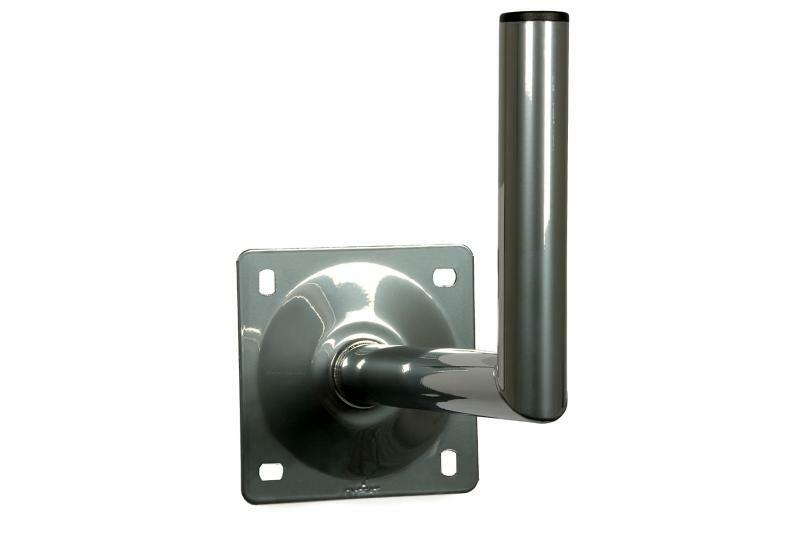 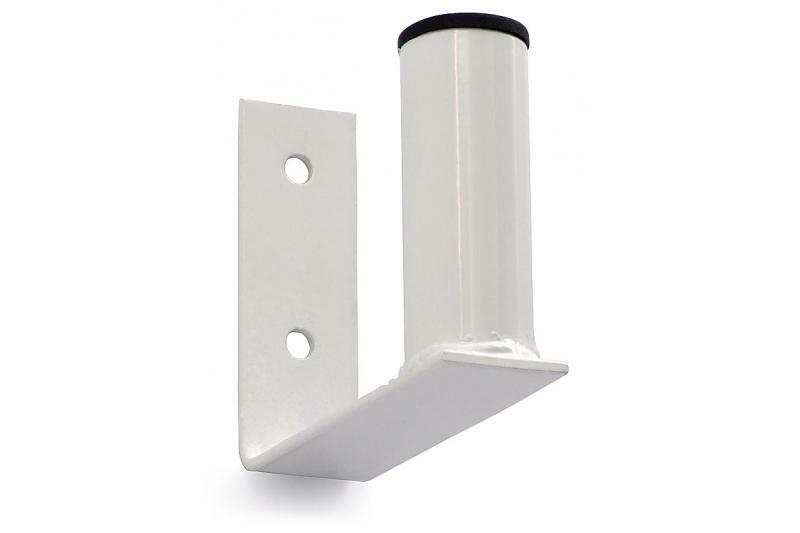 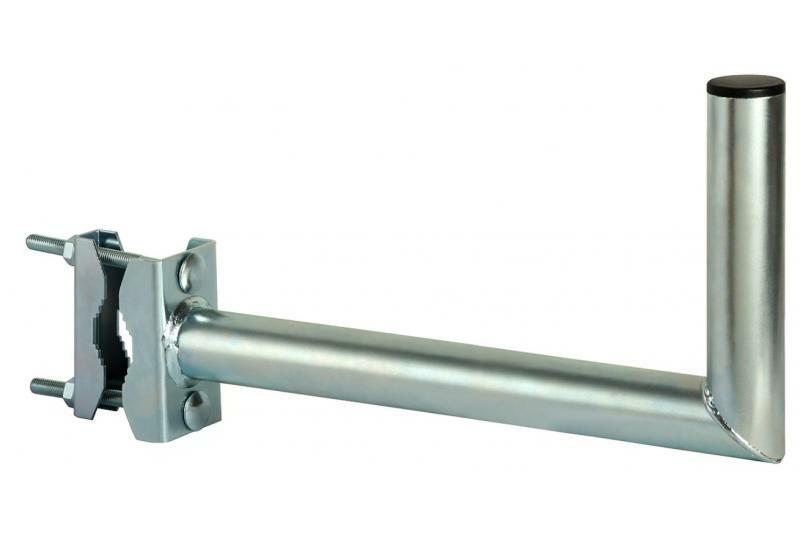 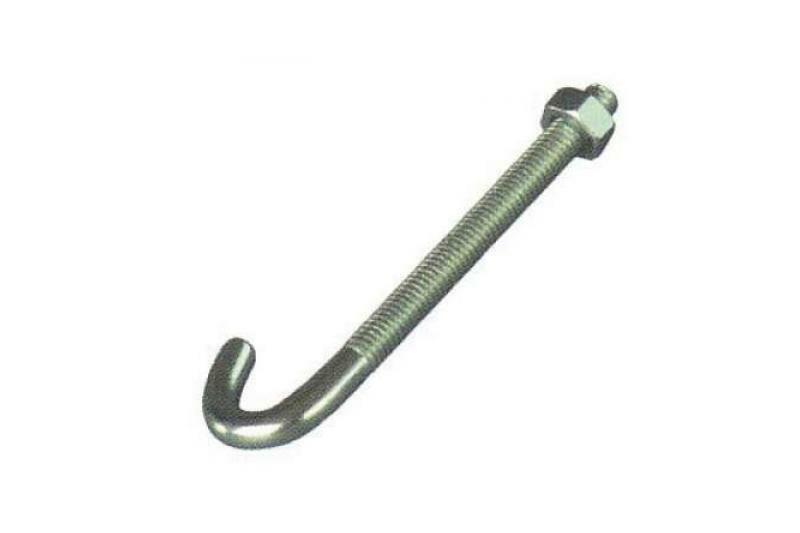 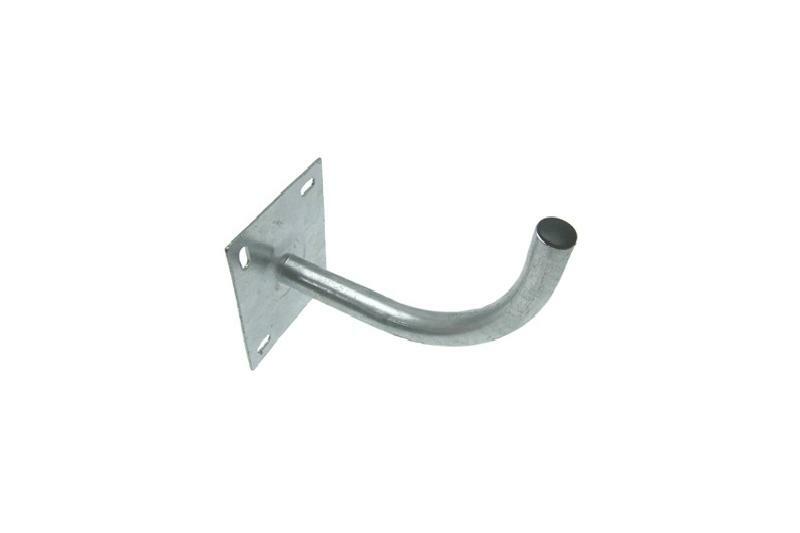 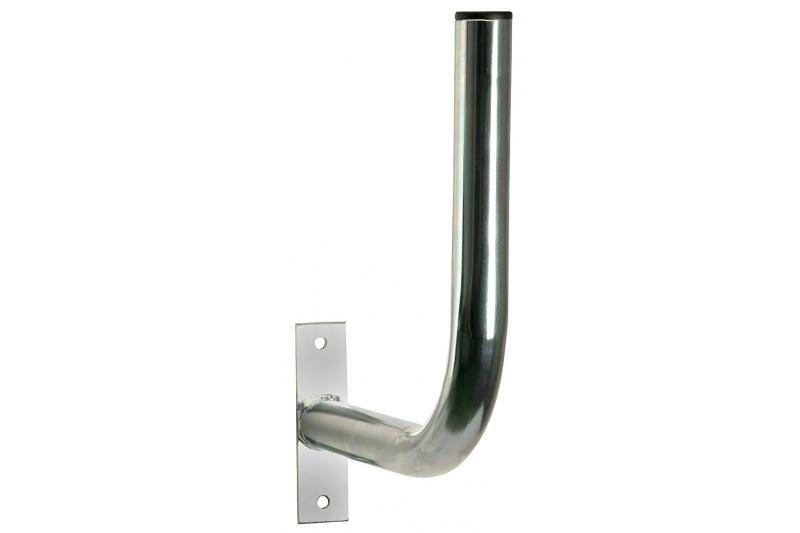 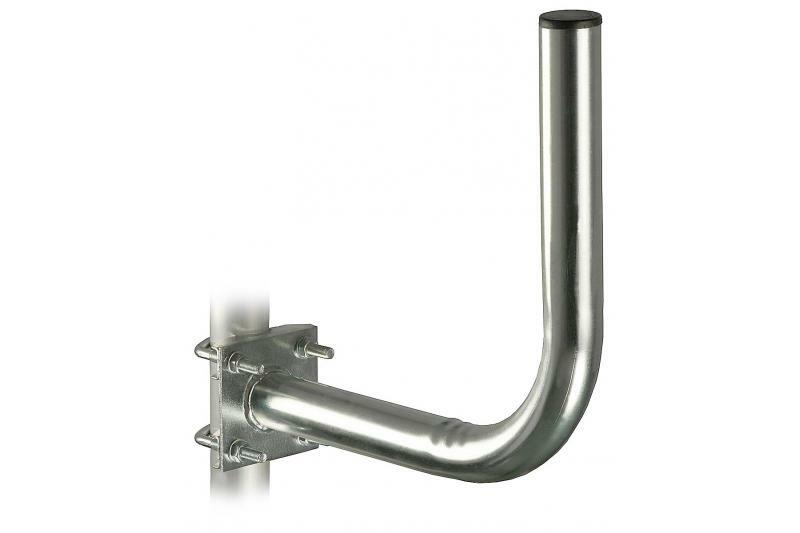 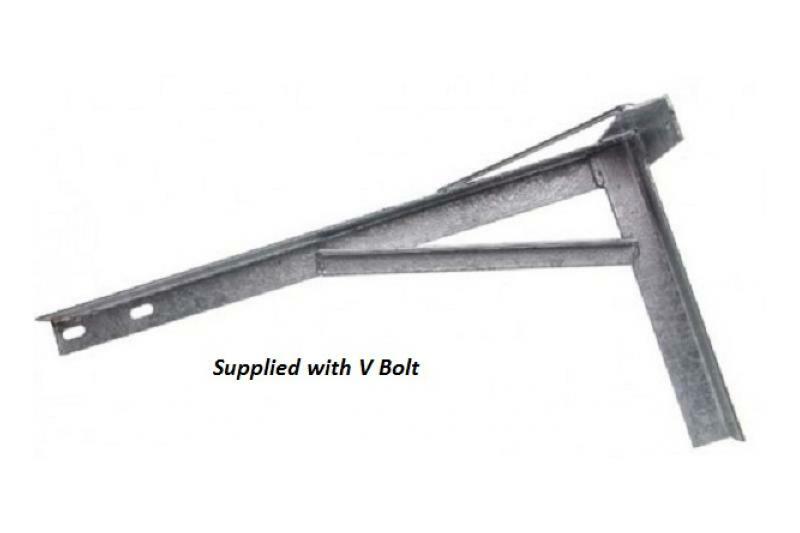 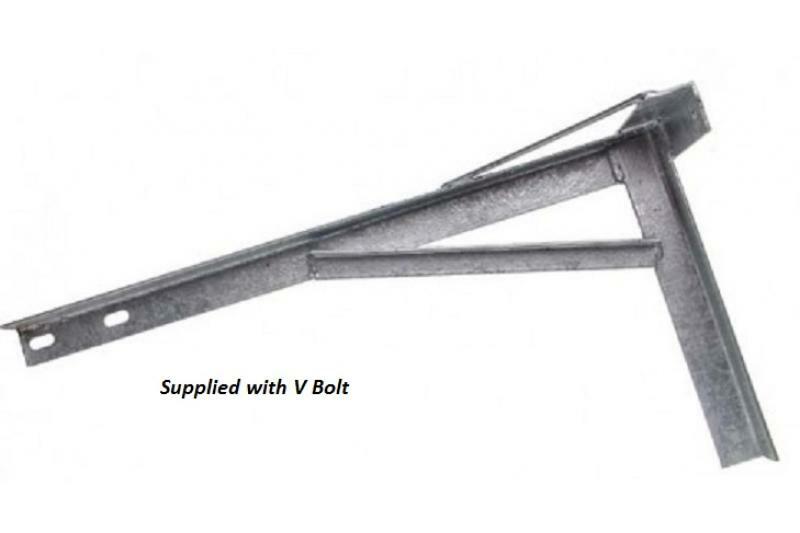 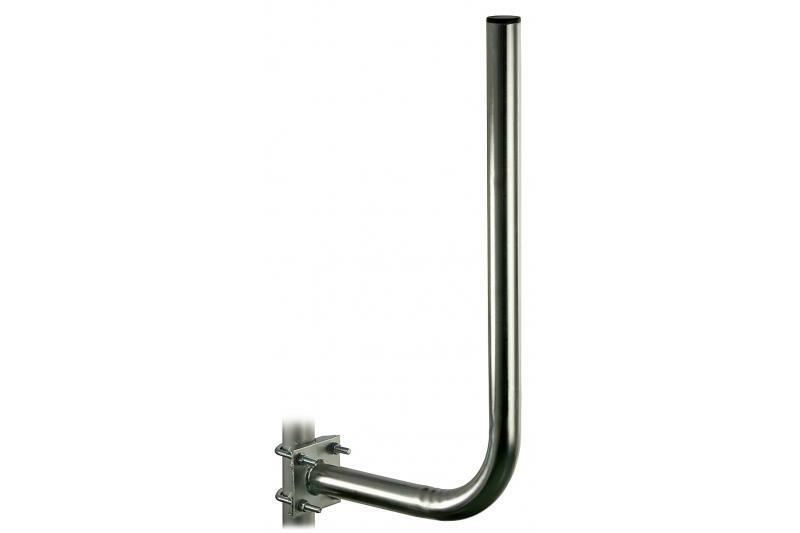 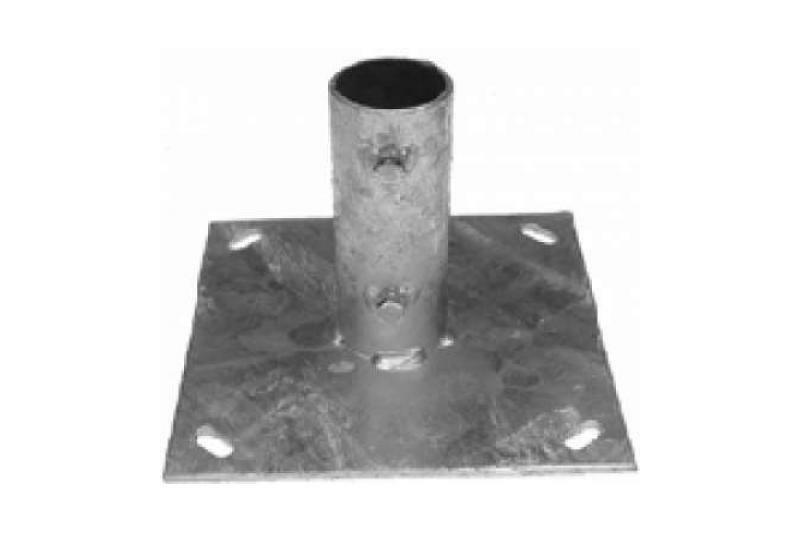 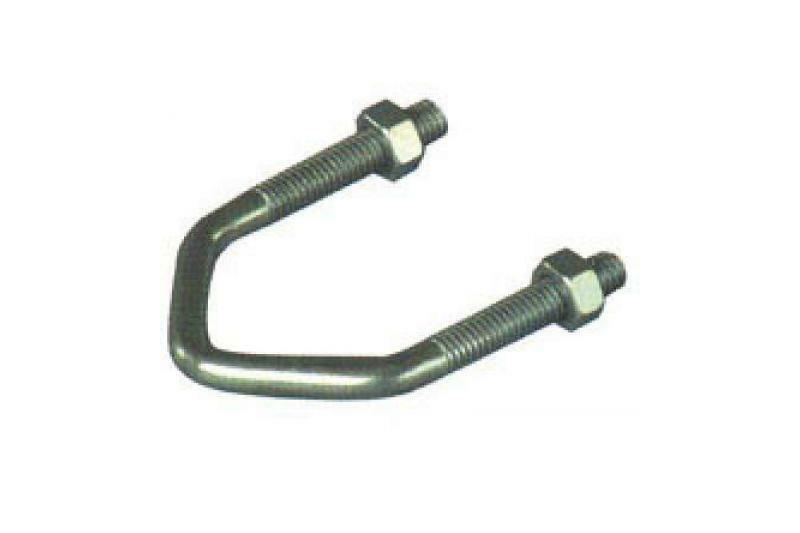 It is solid, compact wall bracket made of structural steel section (4mm thick) and welded pipe. 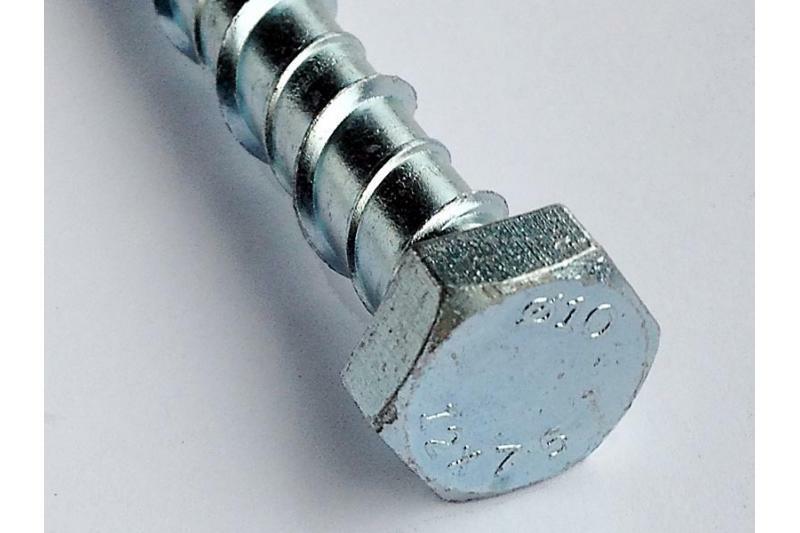 The whole construction is galvanized. 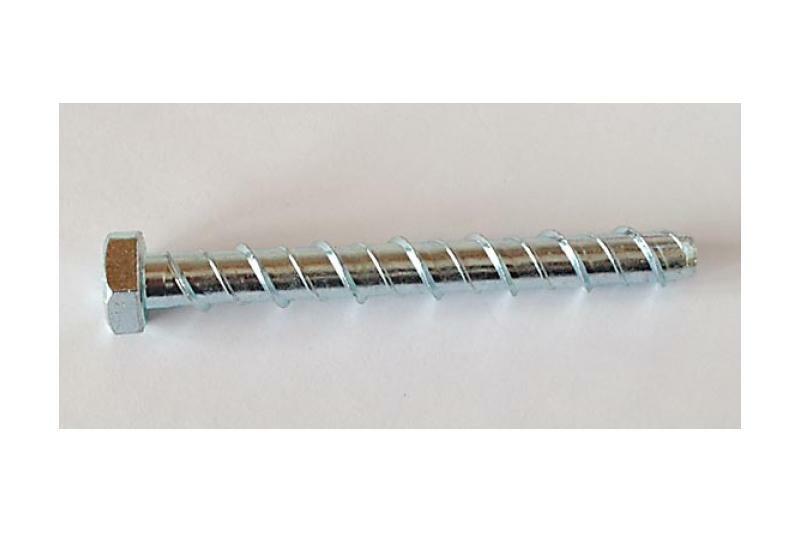 A plastic cap prevents water from getting into the pipe. 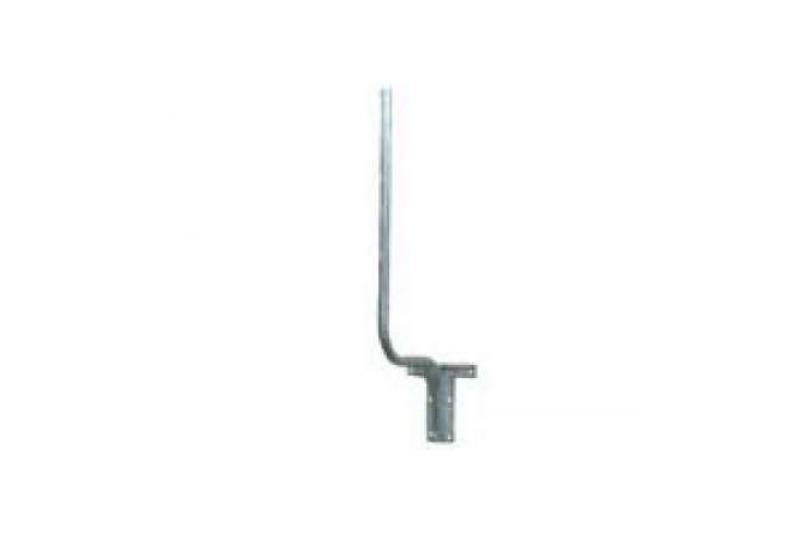 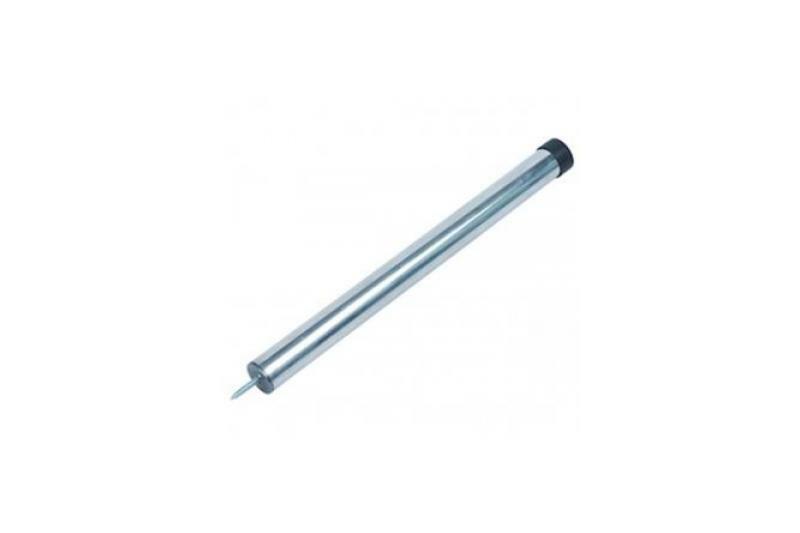 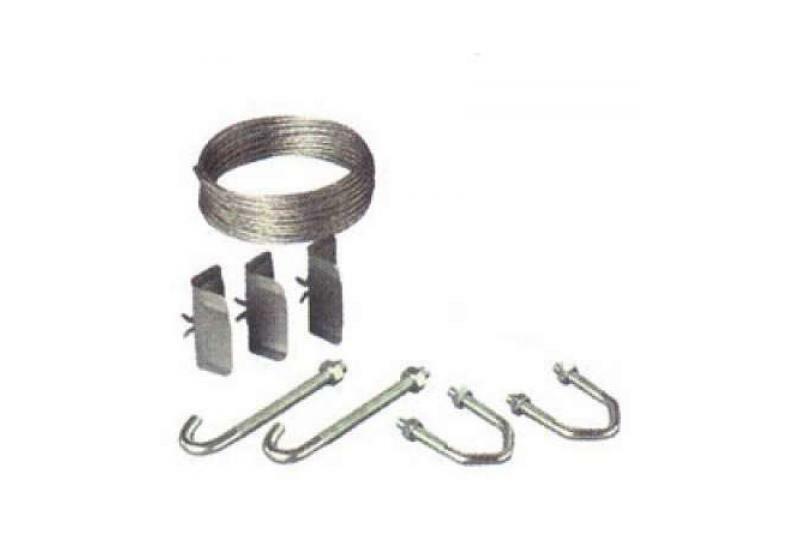 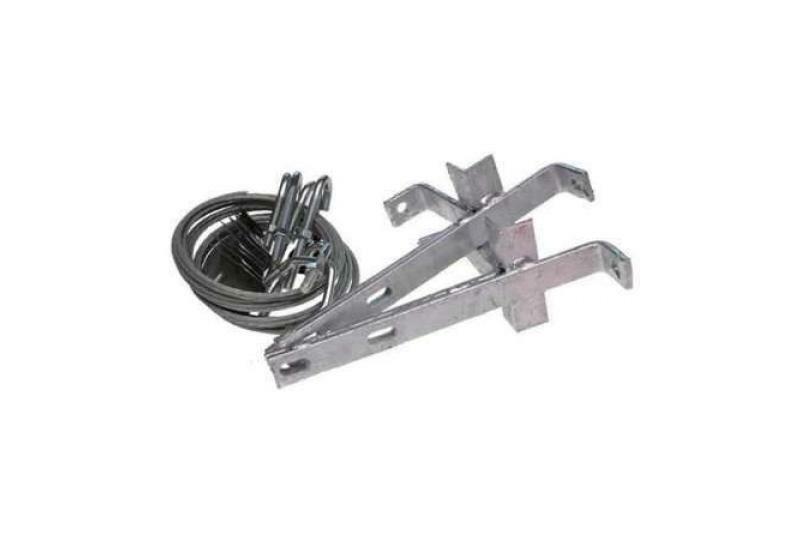 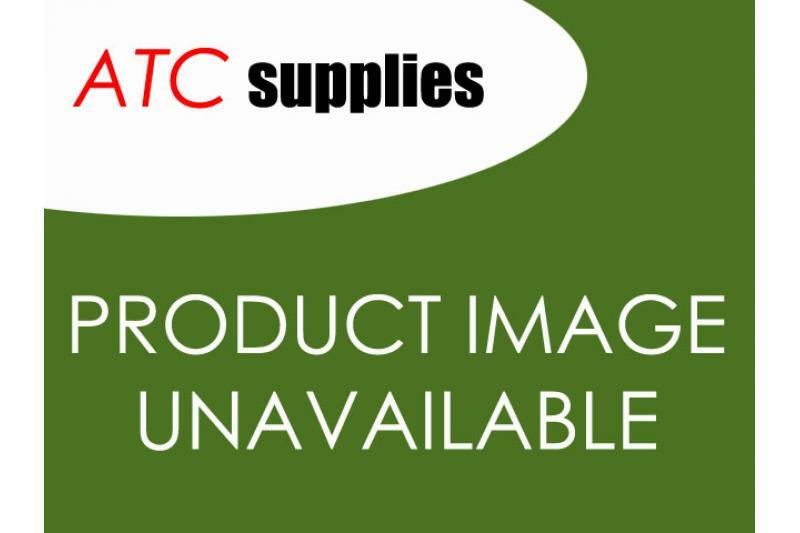 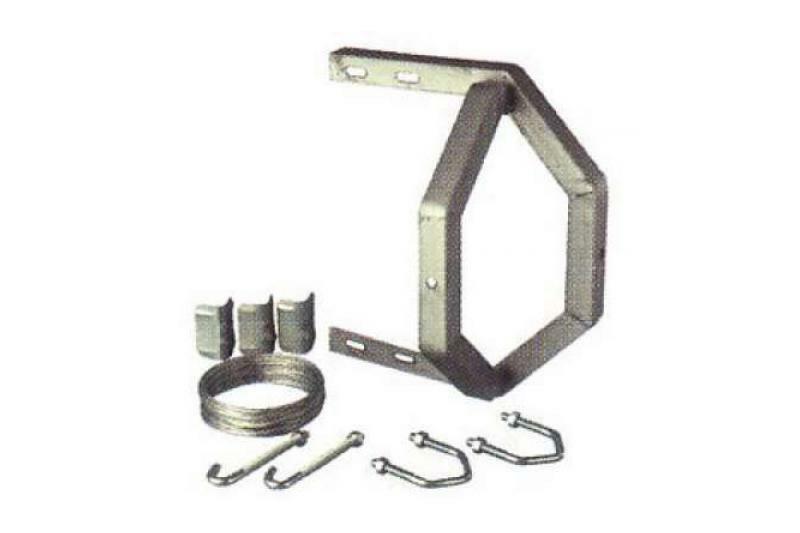 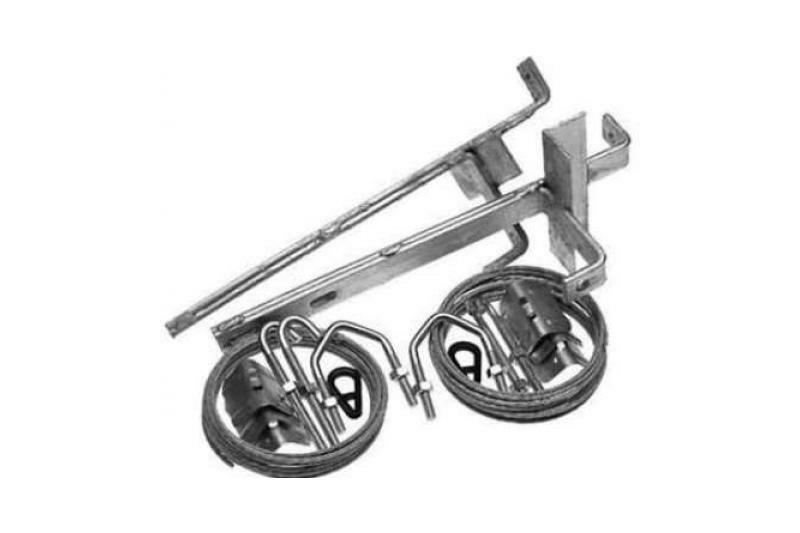 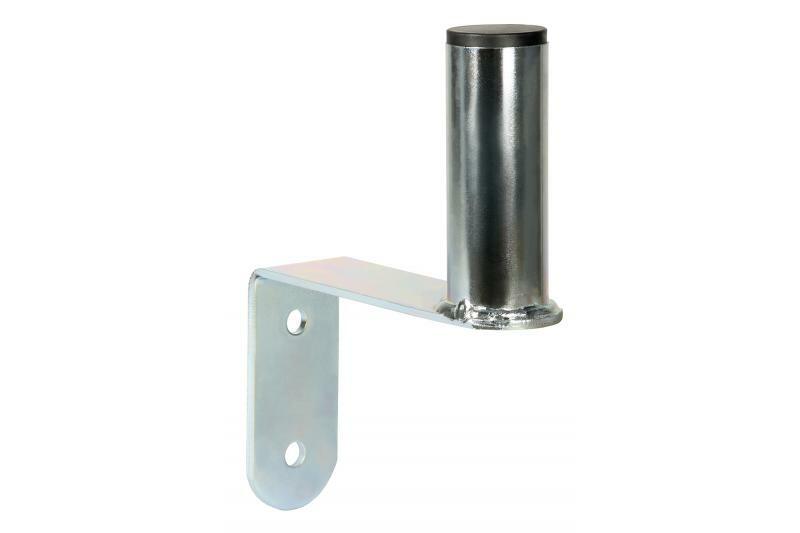 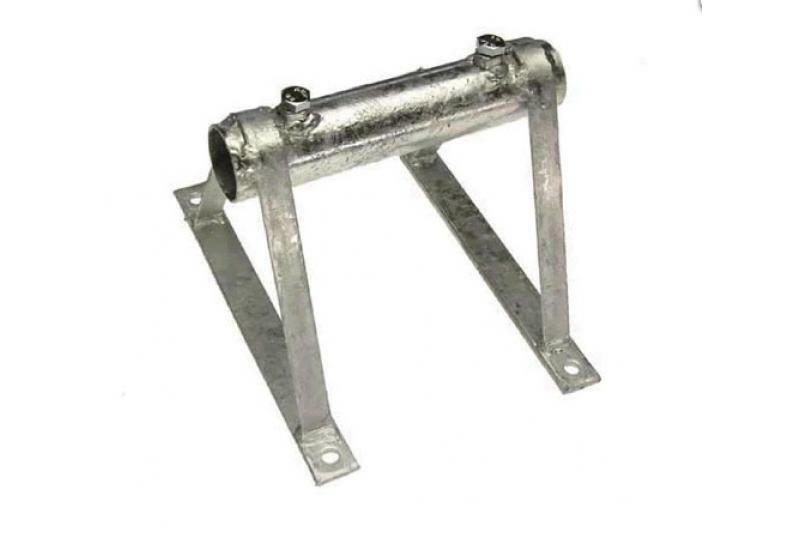 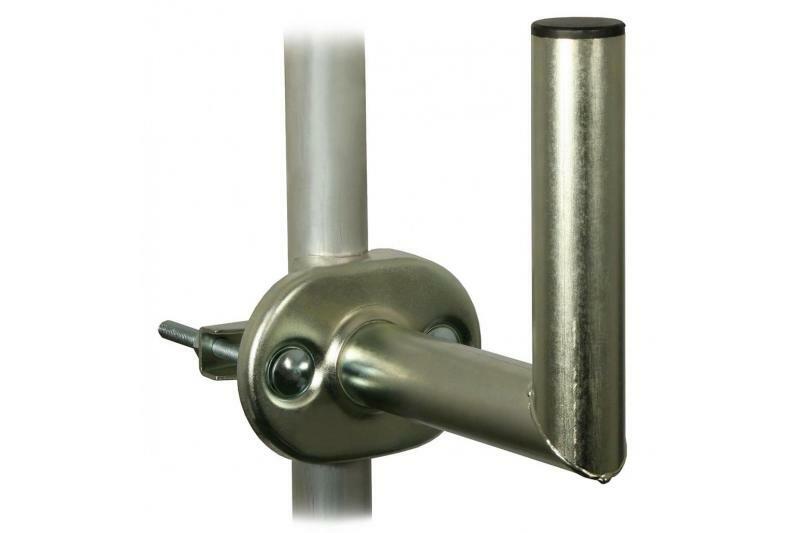 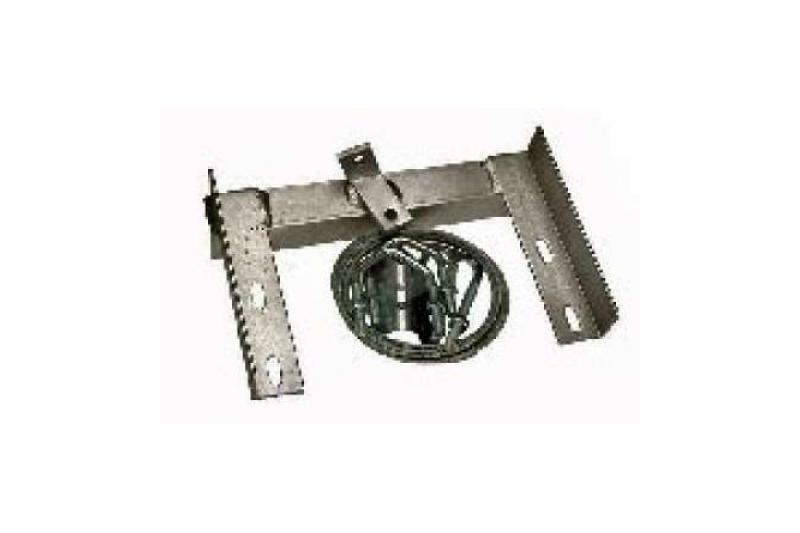 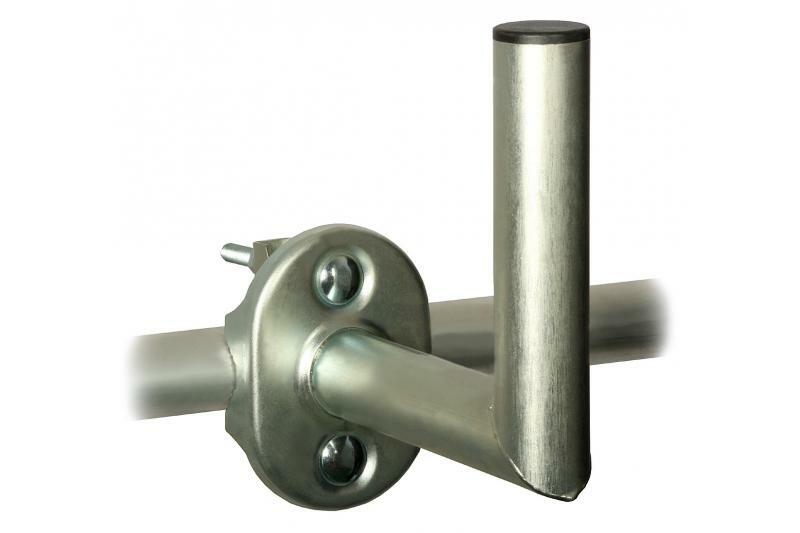 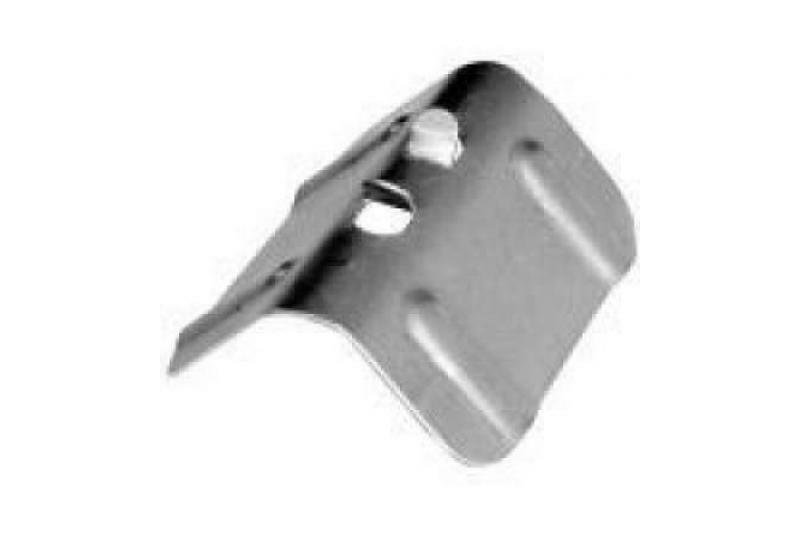 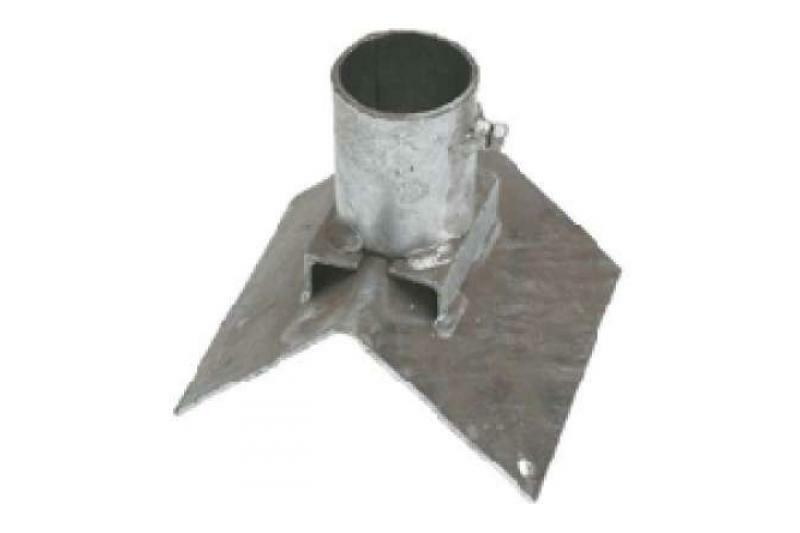 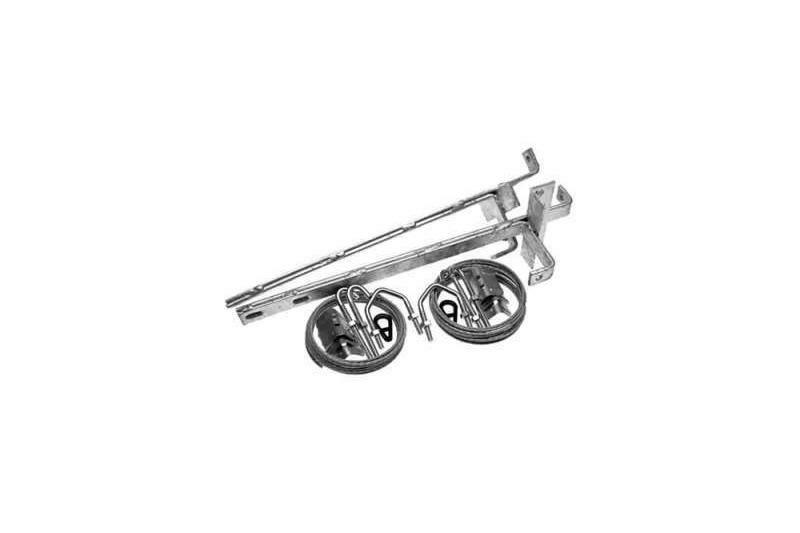 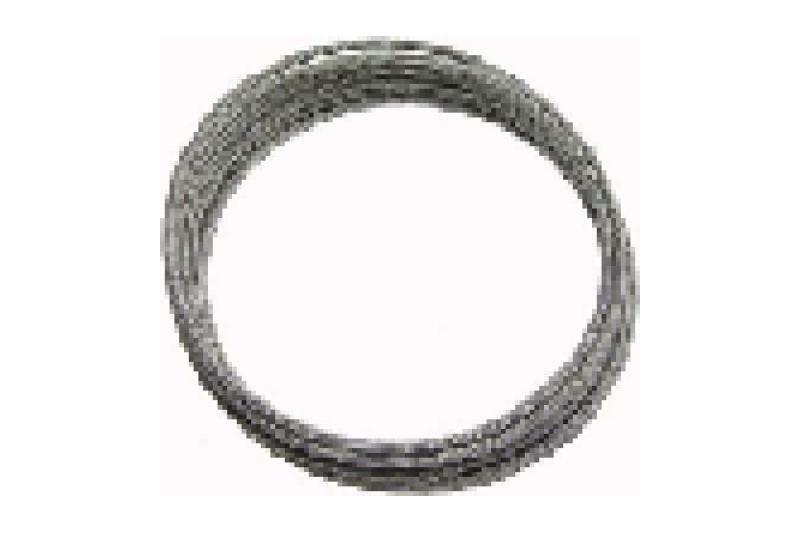 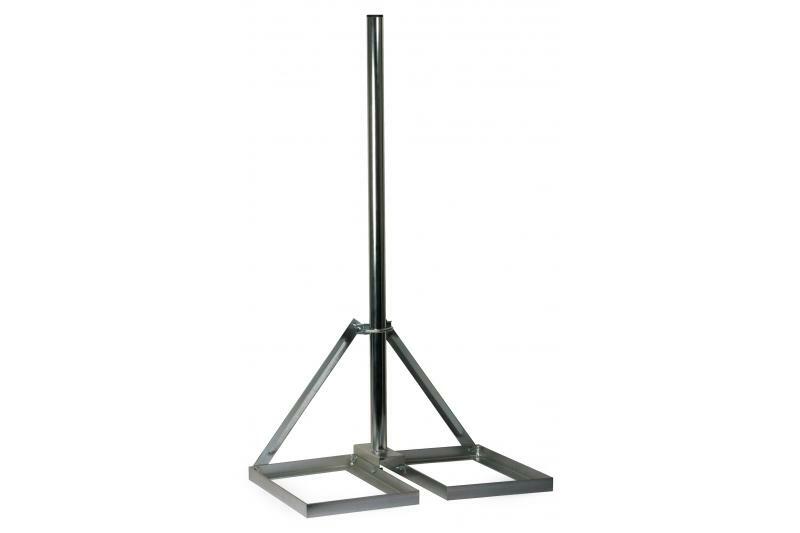 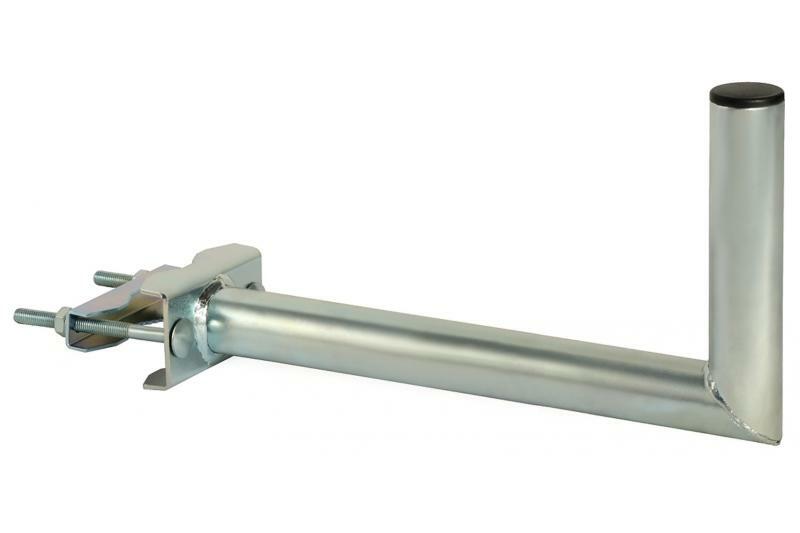 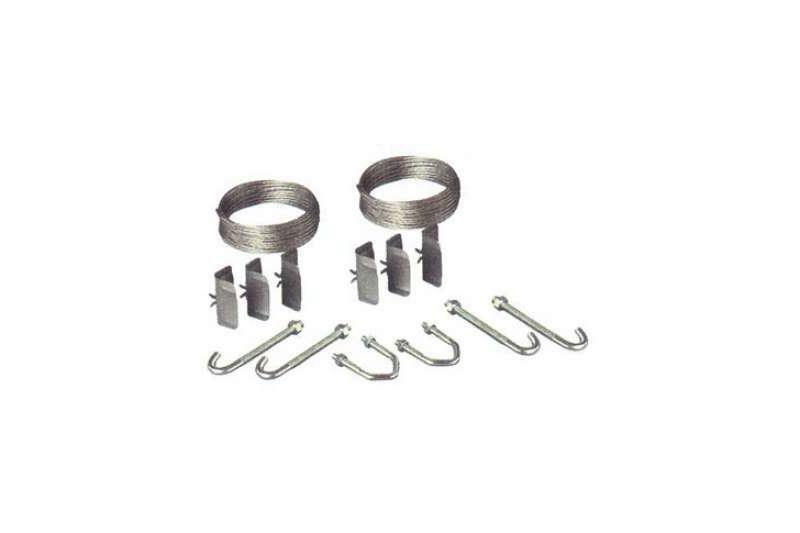 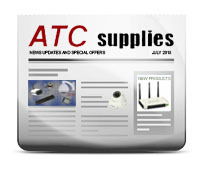 The support has been designed for mounting antennas to a wall or balcony. 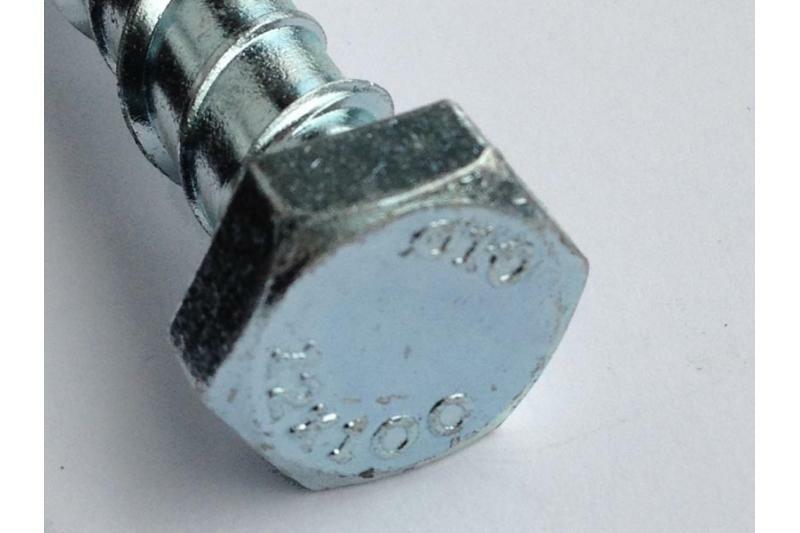 Weight - 0.97 kg.